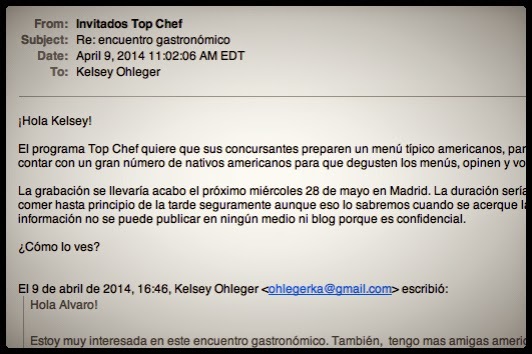 Last April, I received an email in my inbox with "encuentro gastronómico" written in the subject line. A gastronomic encounter? A foodie adventure? I'm in. 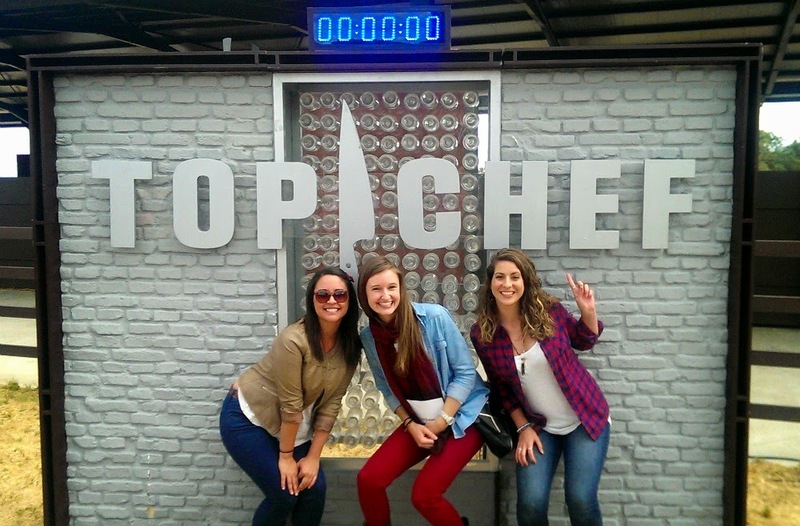 Top Chef España was beginning their competition and needed American taste testers for the second episode of the Spanish TV series. I still have no idea why I was contacted or how they found my email, but I'd like to think that blogging has some perks... like television fame. The details were kept pretty secret until the final days before filming. I eventually received an email to wear plaid, jeans, or anything with an American flag and meet outside of a hotel at a certain time the following day. So I reluctantly played along with the cowboy theme, threw on a plaid shirt and walked to the meeting spot to find 100 other Americans waiting to get on a couple buses. This was by far the most English speakers (and Americans) I had been around in a while. All dressed in red, white and blue, some waving American flags and others in cowboy boots. It was almost like our own personal 4th of July in Madrid. They bussed us to an undisclosed location an hour outside of Madrid and fed us bocadillos and cervesas. Free sandwiches and beer? They knew how to keep Americans happy. 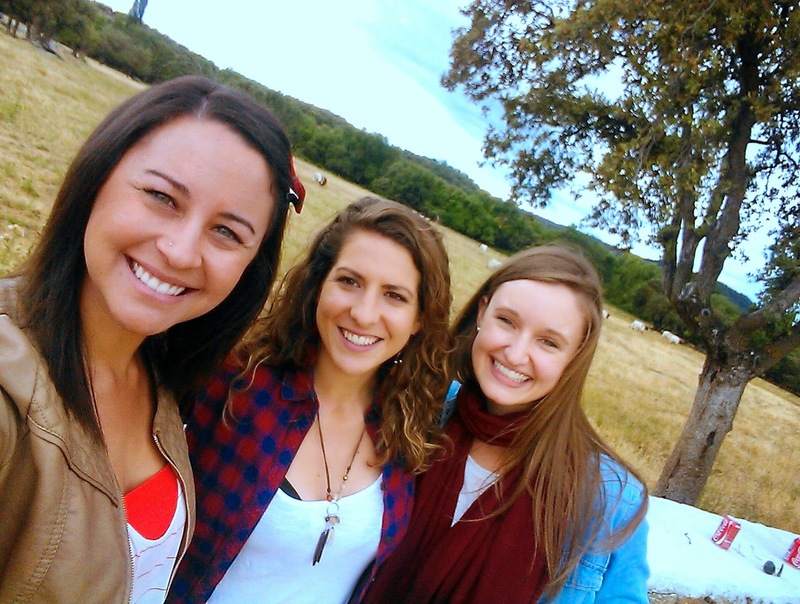 After a few hours of boredom, cow-gazing, and flag-waving for the camera, we were invited inside a barn to sit on hay bales at a long red and white checkered picnic table. We were at a cattle ranch and the two teams of Spanish chefs were frantically finishing to cook up some great American barbecue. I filed into the table with some friends and luckily sat across from one the show's judges Yayo Deporta. His hair was gelled perfectly, he had a nice Mediterranean tan and a flawless complexion due to a thick slathering of TV makeup. Apart from his good looks, he is also one of the youngest chefs ever to receive a Michelin star. With friends Jessica of Curiosity Travels and Amy of Restless Fork Blog. Photo Courtesy of Jessica. We were told to clap along as a country music band played and then watch some of the chefs goof off and dance. They grabbed some girls to Do-si-do and a Spanish chef used an American flag as the cape as another chef acted as the bull. It was, as my friend Jessica hilariously described on her blog as "the most amazing inappropriate use of our nation’s flag I’d ever seen." Eventually, we were served our food. Each team was instructed to prepare a traditional American Barbecue dish with a side. The grey team served two types of meat, one American-style and the other Spanish, with chips, a potato and coleslaw. The orange team had sliced and skewered beef with a baked potato and corn topped with guacamole. Corn and guacamole? That was unique. Now, I am not a meat eater, but I had been living under the mentality of "when in Rome Madrid" and sampling some non-vegetarian dishes. (You cannot live in Spain and not try Jamón ibérico). The food was good. It wasn't amazing, but it wasn't bad either. I preferred the orange plate because of some extra spice and crunchy toppings, but the guacamole-corn is not something I rushed to recreate. We put the color card of our favorite dish in an envelope and then placed it in a glass box to determine the winning team. Again with Jessica and Amy. Photo courtesy of Jessica. We were shuffled out of the barn and back on the bus before we could find out which team won, but luckily you can watch all of that drama from the full episode here (in Spanish, of course). Overall, it was a fun day and I would definitely do it all again. But the best part? My souvenir… I made it onto Spanish TV! Sounds both awesome and tedious! I was emailed about Pesadilla en la Cocina in a town in Huelva. In the end, I was out of town, but maybe for the better - when the episode aired, the food looked awful! Yeah, that's a good way to describe it.. awesome & tedious! I definitely enjoyed the experience, but I would understand if others didn't. And our food wasn't amazing either, but it was good. I was mostly surprised by how much food we were given! It definitely filled me up!